Internships are integral to any good business education. They allow students to get a taste of the real business world within a structured and guided program. Students should begin thinking about their internship possibilities during their initial application process. One of the defining features of any business program, whether at the undergraduate or graduate level, is the internship. Business internships provide students with hands-on experience in the real world. International students looking to study business should take note of potential schools' requirements for internships, as this might influence where they choose to apply. Whether it’s a year-long stretch or one of many summer business internships, your internship experience will provide four valuable lessons to consider as you move from student to business professional. First, internships offer hands-on experience. Instead of just being tossed into the ring, though, internships are structured and supervised by business professionals who will guide you through the ins and outs of a particular business and its operations. Within business internships you will see business skills in action. These skills include the quantitative aspects, such as accounting and number crunching; qualitative aspects, such as communication, HR concerns, and leadership; and technological aspects, such as spreadsheets and other more complicated software interaction. Second, international students should treat their internship as a trial before the real thing. We always like the idea of trying something before we commit to buying it, right? Why not apply the same logic to your career? Internships allow you to consider whether you really want to devote your time, energy, and money into a particular field. Maybe accounting isn't for you, but investment analysis really excites you! Internships are a great way to test your passions. Third, internships are a prime opportunity for networking. Networking is possibly the most important thing aspiring businesspeople can do, and internships give you a chance to dive right in and meet several business professionals with whom you'll be able to spend ample time. Finally, internships offer an insider's view of how business really works. Learning about businesses in class is one thing, but seeing how a business works and learning how a business runs from the perspective of those within it is priceless. Seeking out a good internship can seem like a daunting task, and it certainly shouldn't be taken lightly. Most schools with solid business programs will assist international students in the process of finding an internship. However, if a school does not assist or if you really want to strike it out on your own, you can search through local ads and business websites for more information on available internship opportunities. Above all, though, you should try to seek out an internship in your area of interest; you want to make the most of your opportunity. Once you find a potential internship, the process of applying is very similar to any job application process. You'll need a resume, a cover letter, letters of recommendation, and you'll need to prepare for a rigorous interview process. Like ice cream, business internships come in a variety of styles and flavors. There are paid internships and unpaid internships. There are credit internships and non-credit internships. There are graded internships and there are pass/fail or satisfactory/unsatisfactory internships. Make sure you are in contact with your school about which category your desired internship falls under. It's worth noting here that if you do find a paid internship, you will need to check with your international student advisor to ensure you are under CPT or OPT and compliant with the US regulations. There are also different kinds of internships for undergraduate and graduate international students. Undergraduate internships tend to come from large companies like Google, Inc. These internships allow students to learn about the company itself, the basic roles within a functioning business, and the general ecosystem of a business. Most of these opportunities for undergraduate students will come in the form of summer business internships. Between semesters is the perfect time to immerse yourself into an internship so that you can learn without having to balance your time with other classes. Graduate internships operate a little differently. Though they also tend to be offered by large companies like Sony and The Hartford, these internships expect a greater mastery of basic business concepts and place students directly on high-level active projects. Usually graduate students complete their internship between their first and second year. While an internship is your chance to test out a potential career, businesses see internships as chances to test out potential employees. Sometimes students who perform highly at an internship will be hired on full-time upon completion. Companies with summer business internships may offer excellent students a post-graduation contract to join them upon obtaining their degree. Even if you don't get hired on at the same company for which you served as an intern, you should make the most of the experience and networking, and keep moving forward in your career. Learn more about studying business in the USA by reading our growing article collection. « Study Guide by Subject	« Study Business in the U.S.
Over time we will be updating this section and including more information for those who want to study business in the USA and for other countries, but please feel free to post your thoughts and comments on our Facebook fan page, and also follow us and post questions through Twitter. Is a Degree in Business Right for You? 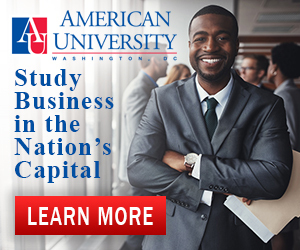 Visit the Study in the USA School search to find schools that offer programs of study in Business.